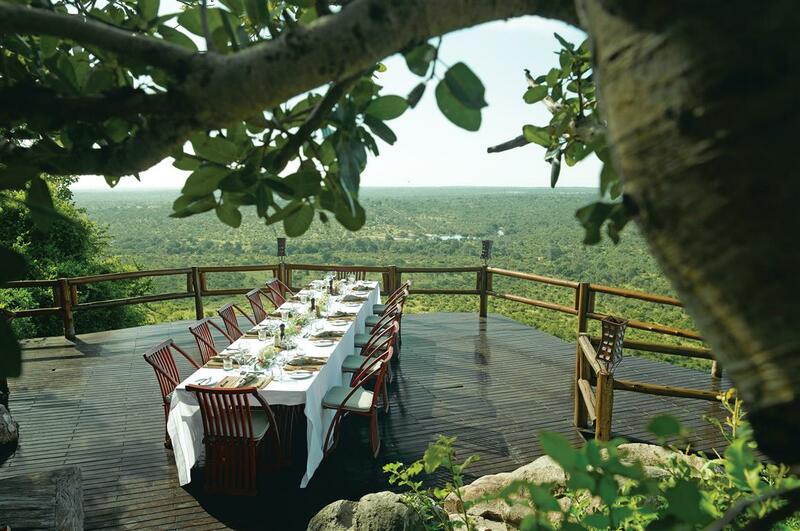 Rock Lodge is perched vertiginously 600ft up a koppie, a rock hill erupting from the flat plain. It offers stunning views from its regal vantage point. 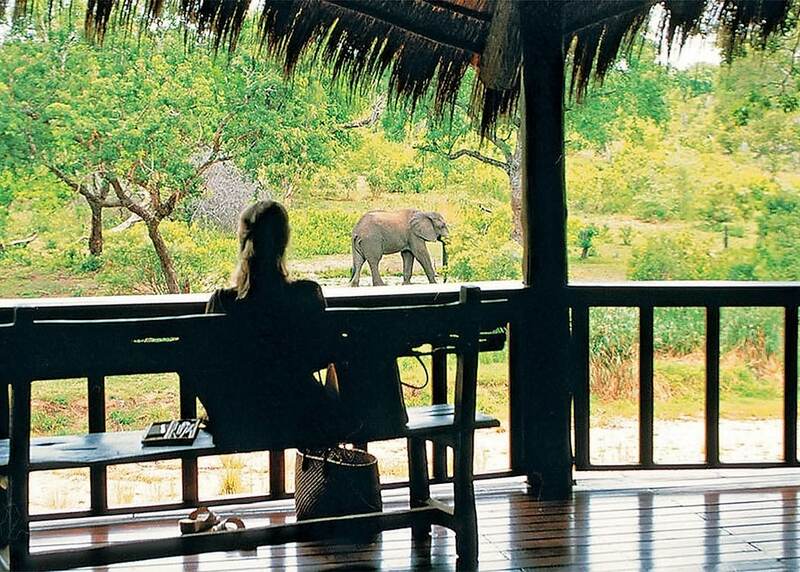 Ulusaba means “place of little fear” in Shangaan language referring to its use as the perfect lookout point. 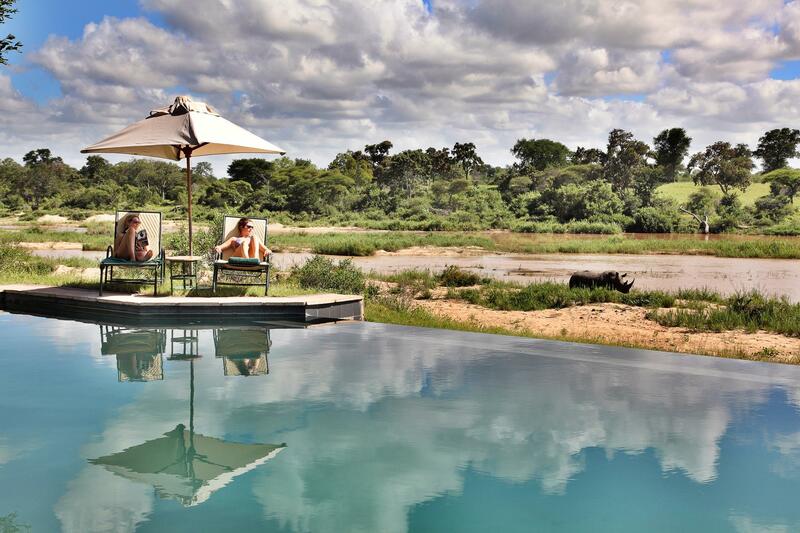 Game drives are good once you have descended the rock, with a decent Big Five presence attracted to predate the general game at the perennial Sand river in the north of the property. 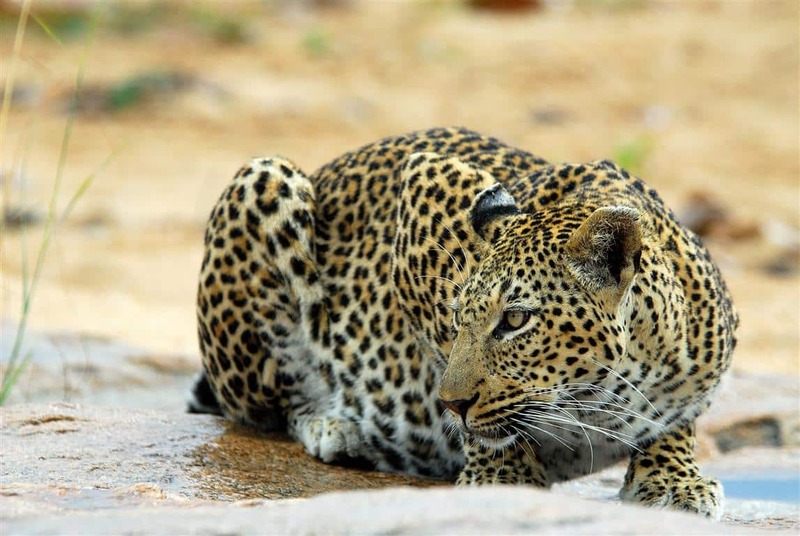 Leopards are plentiful and approachable on drive. 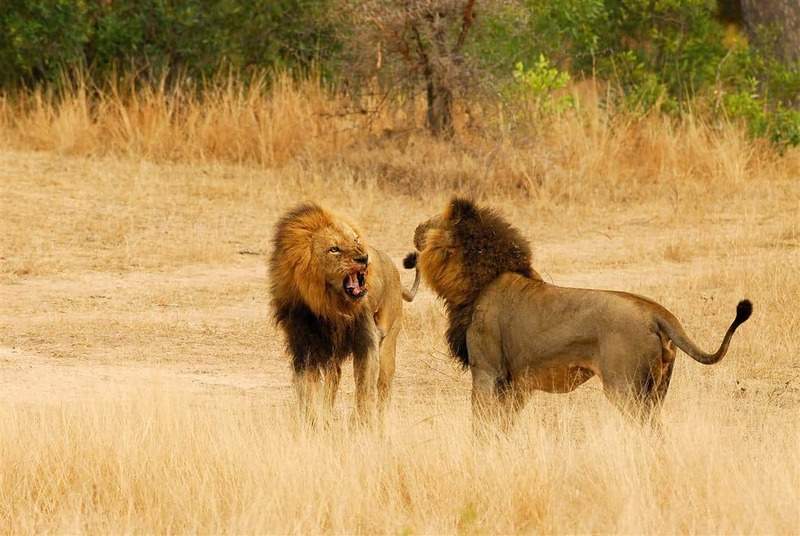 This is characteristic of Sabi Sand as a whole. Eight rooms are on top of the koppie. 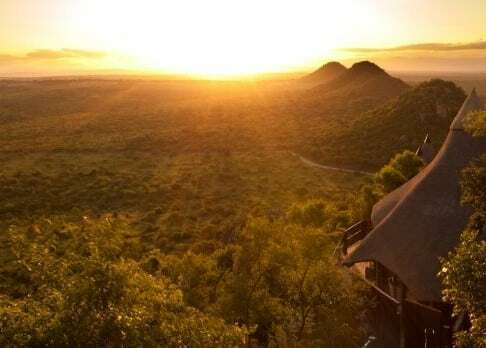 Four adjoining spacious en-suite Rock Cliff rooms are south-facing, with views over the vast landscape from private balconies. Two are built on split levels with a spiral staircase connecting the bedroom and bathroom. 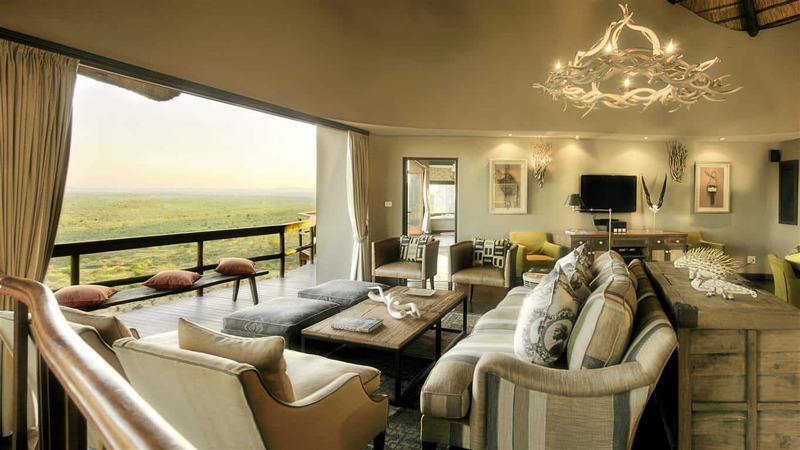 Two lavish Makwela suites are built on two levels with en-suite bathrooms and feature private balconies with infinity edge plunge pools. With a separate living area and study/library, each has a luxurious couch, perfect if you’re bringing the kids. Rock Suite is a spacious two bedroom en-suite offering more privacy, with a living area and master and second bedroom (with its own shower). 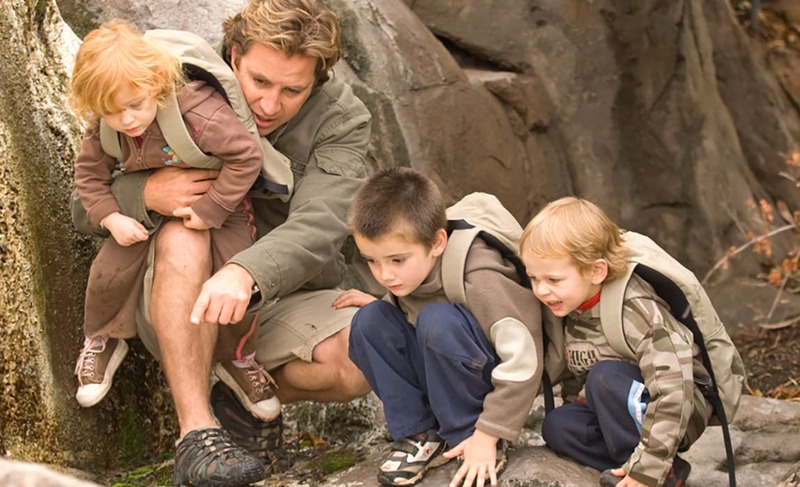 As a family option it can accommodate 2 children with parents. 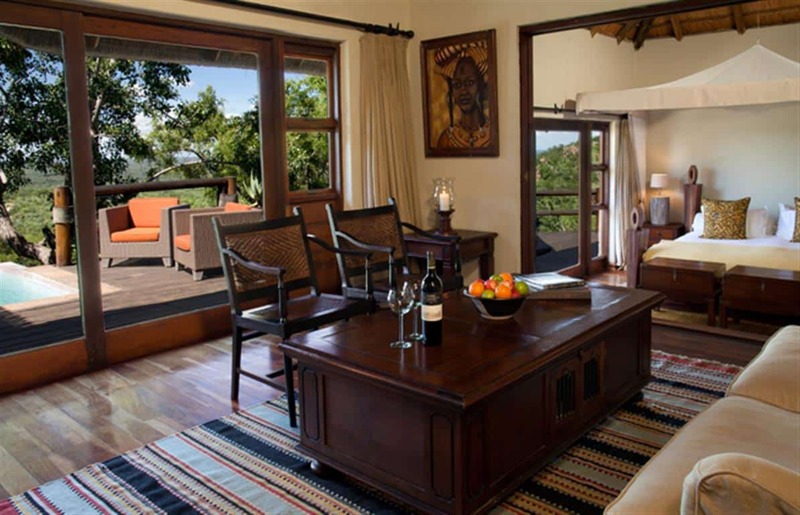 The Master Suite is built on 3 levels with an en-suite bathroom, private balcony with infinity plunge pool, and a living area with terrace and sun loungers. 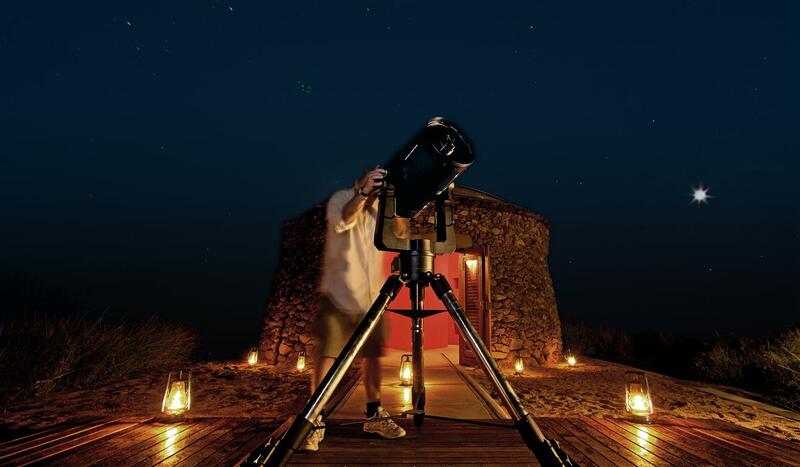 It features a telescope to watch the stars. Ideal for honeymooners! 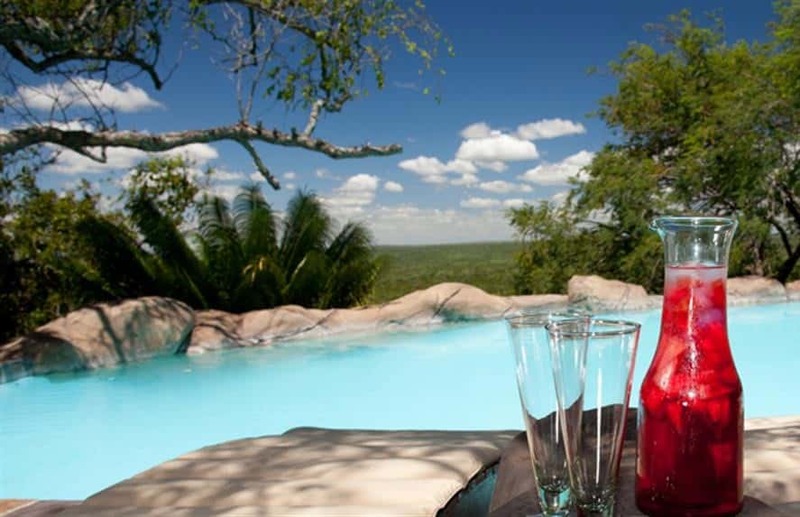 Swim in natural waters at the very top of the koppie, or wander around and you’ll find several viewing decks with miles of view over the plains. Enjoy brunch or dinner with a glorious view. There is a fully equipped gym. 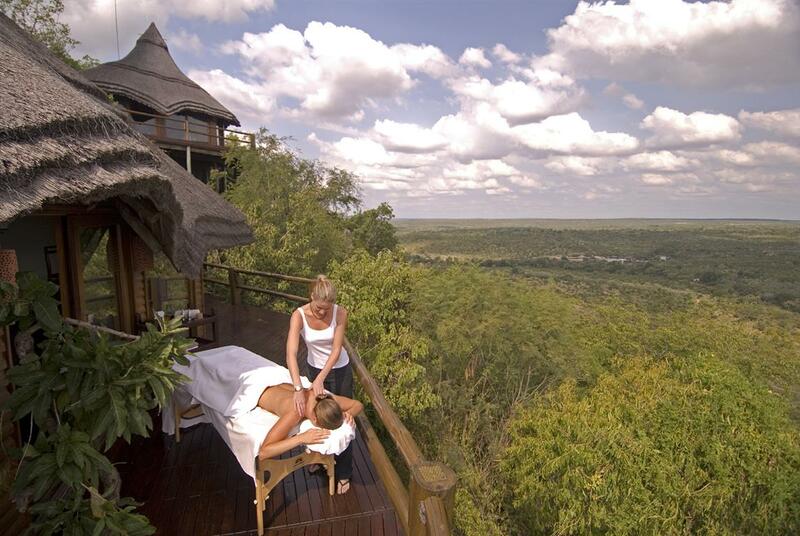 The Aroma Boma spa has a view unlike any other spa and looks over the Drakensberg Mountain range. Wine tasting is offered in the cellar underneath the main restaurant.